When it comes to all of the health complications that can go hand-in-hand with diabetes, oral health is often overlooked. 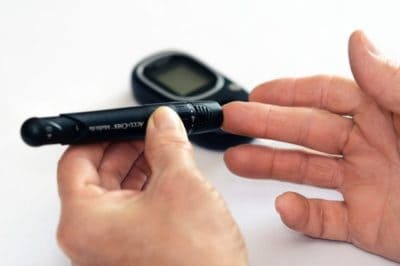 At our Tuscaloosa dental office, we want our patients and neighbors to know just how drastically diabetes can affect oral health, and precautions that those with diabetes should take to keep their mouths healthy. All diabetics know that diabetes directly affects blood sugar, also known as glucose. Glucose is important for our bodies as it fuels our brains and provides muscles with energy. But when someone has diabetes, their body is unable to properly regulate insulin, causing glucose levels to rise. If left untreated or if blood glucose levels aren’t managed properly, diabetes can raise the risk of heart disease, kidney disease, and other whole body health problems. Diabetes can also increase the likelihood of developing gum disease, infections, and dry mouth. To help reduce the risk of these additional health problems, follow the tips below. Even though diabetics are at more risk for serious health problems, proper management of glucose levels can minimize that risk. Nearly 30 million Americans have diabetes, and they all need to work hard to keep their blood sugar numbers within a healthy range. In fact, it’s one of the best ways that diabetics can lower their chances of developing other health complications as a result of diabetes. Everyone, whether diabetic or not, should do everything they can to eat a well-balanced diet. Fueling your body with fruits, vegetables, grains, dairy, and proteins can do wonders in protecting overall health and keeping glucose levels in check. Limiting sugary foods and drinks is great for managing your diabetes and is something your dentist in Tuscaloosa recommends. Brushing your teeth twice a day and flossing once a day not only helps protect teeth, but can also help protect against increased blood sugar. Without a good hygiene routine, oral health is put at risk for decay, tooth loss, and gum disease. This is concerning for anyone but particularly for diabetics. Gum disease is an infection that affects the gums, and like any type of infection, it can cause blood sugar to rise and make diabetes difficult to manage. At our dental office in Tuscaloosa, we’re here to help our community get healthy and stay healthy, even when patients have health concerns that may not appear at first to have any effect on oral health. The truth is that many diseases, including diabetes, have a connection to the mouth. If you have diabetes and notice anything unusual about your oral health, do not hesitate to give us a call. We’re always happy to help or answer any questions you may have.